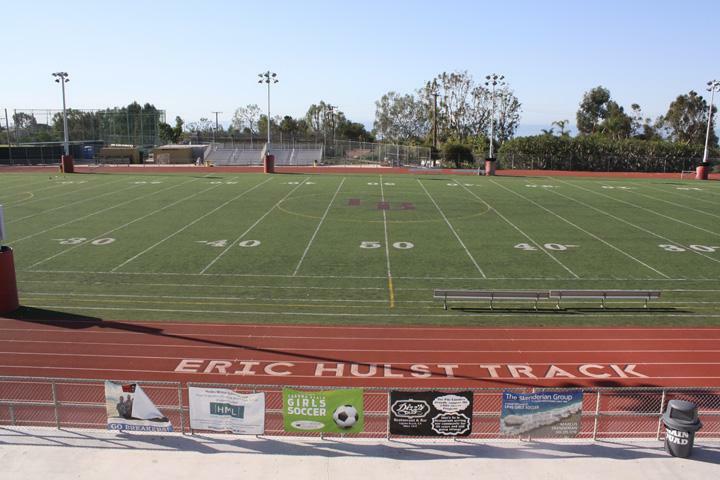 Eric Hulst was a distance runner who attended Laguna Beach High School in the 1970s. Originally, he wanted to be a tennis player; however, after running a 9:04 second two-mile as a freshman, he and his coaches realized he had true talent for running. Len Miller, his coach, pushed Eric to his full potential. Throughout his high school career he ran, on average, 130 miles a week. He often ran with a heavy lead vest on and steel weights in his hands. “He was the ultimate competitor and a world class runner,” said track and cross country coach Steve Lalim. Hulst ran cross country and long distance track events, but he really excelled at the two-mile event; he ran 9:04.4 as a freshman, 8:50.6 as a sophomore and 8:44.9 as a junior. All these times stand as national class records today. He also won three Southern Section Cross-Country titles and the world Cross-Country championship in 1976. He had great mental toughness and endurance. “He trained non stop and was incredibly dedicated to the sport. He is missed dearly,” said childhood friend and alumnus Glenn Wilson. Hulst’s best time of 8 minutes 44.6 seconds as a senior in 1976, ranks him as the sixth-fastest two-miler in U.S. history. Ralph Sierra from Loara High School was Hulst’s biggest rival in high school and later teammate at UCI. The two competed throughout high school and were two of the top runners in the nation. “It was a pleasure competing with him; he was a great runner and a very close friend,” said Sierra. In July of 1992, Eric Hulst lost a year-long battle with brain cancer. He was 34 years old. Hulst, who was perhaps the best distance runner in Orange County, is remembered every day as Laguna Beach High School’s best runners train on the track named in his honor.